The Arts For All Taranaki Network is made up of representatives from the disability sector, arts and cultural organisations, and venues. Its members meet throughout the year to gain insights, seek advice, and share information and resources. 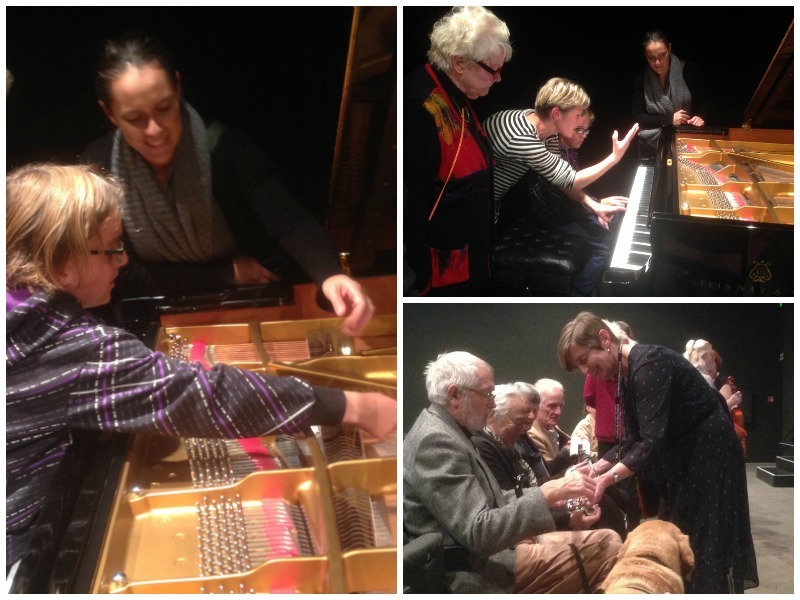 CHAMBER MUSIC TOUCH TOUR: Members of the Arts For All Taranaki Network met in New Plymouth in May 2018 where audio describer Nicola Owen and Chamber Music NZ's Education and Outreach Co-ordinator Sue Jane discussed audio description in New Zealand and its growing popularity. Members also enjoyed Chamber Music New Zealand's touch tour and audio described concert at TSB Showplace in New Plymouth. Individuals and organisations interested in arts, disability and accessibility are welcome to join the Arts For All Taranaki Network. Please contact Claire Noble, Access and Participation Advisor, Arts Access Aotearoa (T: 04 802 4349 E: claire.noble@artsaccess.org.nz). Wednesday 3 April 9.30am -12pm at Percy Thomson Gallery, Stratford. RSVP to Claire by Tuesday 2 April and let me know if you have any access requirements. If you require an NZ Sign Language interpreter, contact Claire by Monday 25 March. 9.40am - 10.30am: An opportunity to share what accessible events and projects you are working on for 2019 and ask advice and questions from the group. 10.50am - 11.20am: Claire will discuss ways to effectively engage with broader audiences and different ways to fund your accessible event or project. Original generation time 1.2993 seconds. Cache Loaded in: 0.0322 seconds.